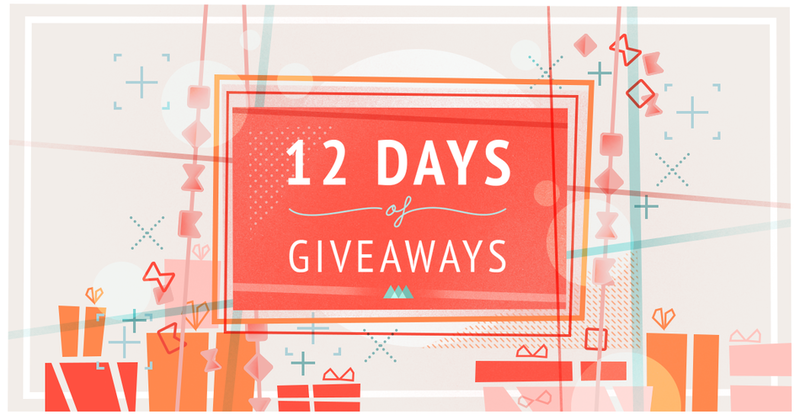 We’re a little over halfway through 12 Days of Giveaways. The prize pack keeps getting bigger and bigger! You can sign-up on the giveaway page. Using presumably wizardry, Google is releasing a new beta-program called Google Earth Studio where people can use Google Maps scans to create 3D animations. It’s like having the world’s best drone at your fingertips. Joey dropped a brand new tutorial covering how to create a render bot in After Effects. Using this technique you can give your clients the power to edit, render, and share After Effects projects without ever opening up the software. Ready to get serious about expressions? Animoplex has created an incredible free library of tutorials covering various expressions in After Effects. The teams at Maxon and After Effects have won a technical Oscar for their software achievements. Does this mean the After Effects and Cinema 4D splash screen will have a laurel on it now? Hat Tip: I'd like to thank Liam and Kyle and my mom and dad for always believing in me. Who am I forgetting here... music fades up. This isn’t exactly motion graphics, but...um… you should see it. That’s all we’re going to say. Justin Cone sent out a goodbye letter on Motionographer this week. Justin’s work in the Motion Design industry can’t be praised enough. If you’re an artist in the Motion Design world you’ve undoubtedly been helped by Justin’s work. Frame.io just published a book about modern video workflows featuring interviews with experts from all over the creative world. This is gold. Need a quick character illustration for a motion project? Pablo Stanley dropped a free mix-and-match illustration kit for free online. They are also free to use on commercial projects. So… yay. Hat Tip: Liam "The Humaaan"
Adobe’s video applications now support ProRes exporting on Windows machines. This is a HUGE update for PC users. As a fan of School of Motion you probably agree that Toto’s 'Africa' is the best song ever written. So you can imagine the heartbreak that flooded our emotions when EJ shared this song. Why… just... why?! This week’s Alumni spotlight is Deanna Reilly! Deanna is an Ireland-based Motion designer that wants to use the power of explainer videos to show the world how learning can be fun! You can find more of her work here. Today’s student spotlight is Diego de Arruda! Diego said "After Effects Kickstart is blowing up my mind! Already knew some After Effects, but now I'm more precise in the process." Here’s an example of his work in the course. Great job Diego! Last week we dropped 12 Days of Giveaways, Joey dropped a brand new tutorial on creating an automated render bot in After Effects using Templater from Dataclay, and we sat down with Abbie Bacilla to hear how her motion design journey took her from Alabama to New York. Want to get this news sent to you inbox each week? You can subscribe to Motion Mondays by creating a free student account here at School of Motion. Just click 'Register' at the top of the page. Have any suggestions for Motion Mondays? If you've seen any amazing work, know of any cool news, or think we should feature a particular tool or trick in Motion Mondays, hit us up on Twitter @schoolofmotion, or e-mail us at [email protected]. We're always on the lookout for cool MoGraph-related happenings.